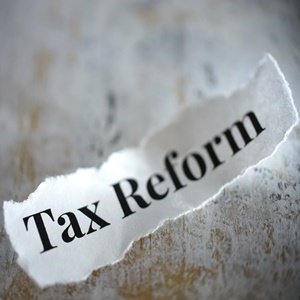 A legislative amendment to SA expatriate tax law is set to come into effect on 1 March 2020, and to avoid criminal prosecution, South Africans working abroad can opt for "financial emigration", suggests Claudia Aires Apicella, head of financial emigration at Tax Consulting SA. She explains that financial emigration is a process provided for by the SA Reserve Bank (SARB) to change one's tax status from "resident" to "non-resident". The legislative amendment states that South African tax residents abroad will be required to pay tax to SARS of up to 45% of their foreign employment income, where it exceeds the R1m threshold. When one "emigrates financially", however, they cease to be a South African tax resident and will not be liable to pay any South African tax on their worldwide income. They will, however, be required to declare any South African sourced income which may be taxable, such as rental income. According to Apicella, SARS has begun prosecuting taxpayers that are non-compliant and, in some cases, has the option to imprison the offender up to a period of two years. SARS tax audits focus especially on those expatriates who have left and simply decided to ignore their taxes. While some did not consider it necessary to submit tax returns in SA, others submitted zero-tax returns to SARS. In some cases, individuals even indicated that they were unemployed on their tax returns while earning expatriate salaries. "Many expatriates hope that SARS will drag their feet, but the 2017/18 South African tax return already included targeted questions dealing with expatriate tax status," cautions Apicella. "These questions may appear innocent enough, but we have seen this trigger an automatic verification or audit process. Where the question is marked false, this is a criminal offense, thus creating an even more serious problem." SARS had committed itself to completing its implementation of the Organisation for Economic Corporation and Development's (OECD) Common Reporting Standard (CRS) by end of December 2017. This means there will no longer be offshore hidden money, as the world has followed the lead of the US in forcing disclosure by financial institutions of any account owned or otherwise connected to South African residents or citizens, according to Apicella. "SA citizens or residents who do offshore banking will be reported to SARS, and this will be an audit trigger if your SARS profile is not correct," says Apicella.